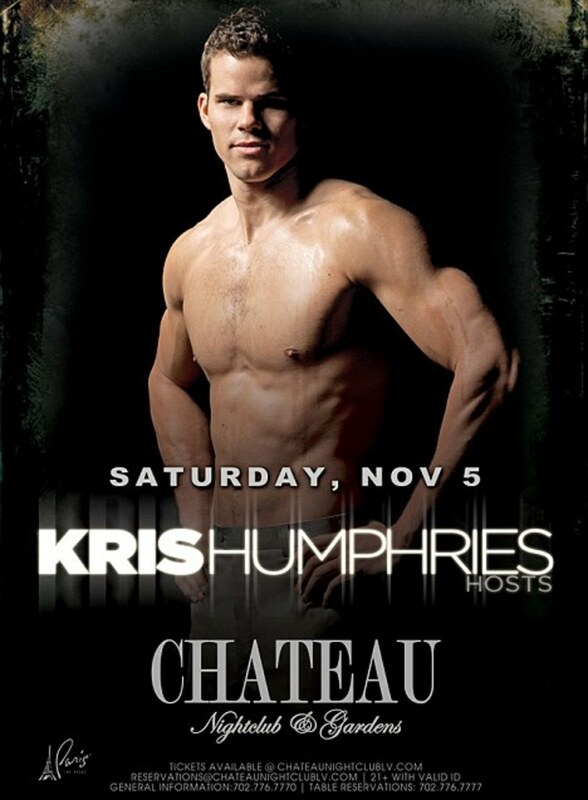 26-year-old NBA star Kris Humphries has reportedly pulled out of a weekend hosting gig (picture below) at the Paris Hotel&apos;s Chateau Gardens club in Las Vegas, which was scheduled before Kim Kardashian&apos;s divorce announcement. While a spokesperson for the Las Vegas nightclub told E! News that they haven&apos;t received an "official cancellation" yet, it is understood he won&apos;t be there. However, a source told Life & Style magazine: "His people have confirmed he&apos;s still coming, even in the wake of this divorce announcement. It&apos;s one of those super late-into-the-night parties, it&apos;s called Butterfly at Chateau Gardens, and it&apos;s on the rooftop of the (Paris Hotel&apos;s replica) Eiffel Tour." "There will be a red carpet, which will start at 11:30pm and Kris will probably arrive around midnight. It&apos;ll run into the early hours of the morning." On Monday, Humphries released a statement about the divorce: "I&apos;m committed to this marriage and everything this covenant represents.I love my wife and am devastated to learn she filed for divorce ... I&apos;m willing to do whatever it takes to make it work." Kim Kardashian's Agent Drops Kris Humphries, Will Kim?